You would have had the cakes and pastries at the legendary Flurys many times. Now they are letting you try your hand at making your own unique flavoured cake. Do you have something which no bakery would dream of baking but you’ve been dreaming about? Here’s your chance. Who says you can’t have it all? Now you can have your cake and eat it too. The Queen of Kolkata bakeries, Flurys, is bringing to us another irresistible culinary delight – Create Your Own Cake sessions. Mix and match flavour combinations according to what you want and to make a customized cake. Choose the sponge base first. You can go for a more traditional vanilla or chocolate. 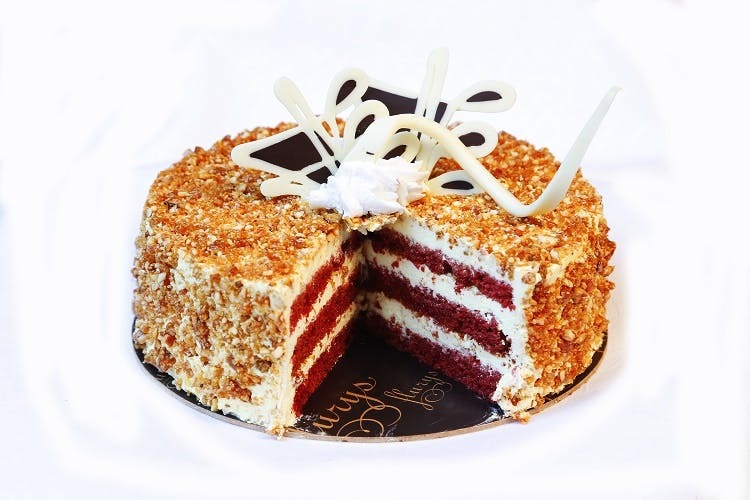 If you are more adventurous, opt for mint, almond, orange, coffee, blueberry or red velvet sponges. You also get free reign over the choice of fillings. Pick fresh cream or buttercream in fun flavours like mocha, pistachio, mango, hazelnut, almond cream, cream cheese and chocolate chips or the more classic vanilla, strawberry, chocolate, pineapple and butterscotch. Top it off with nougat, toasted almonds, nuts, chocolate chips, fresh fruits and more from their incredible array of toppings. Get creative and let your flavour palette run wild. The Custom Cake makes for a perfect gift or midnight cake binge-eating session. Sufficiently tempted? We know we are!